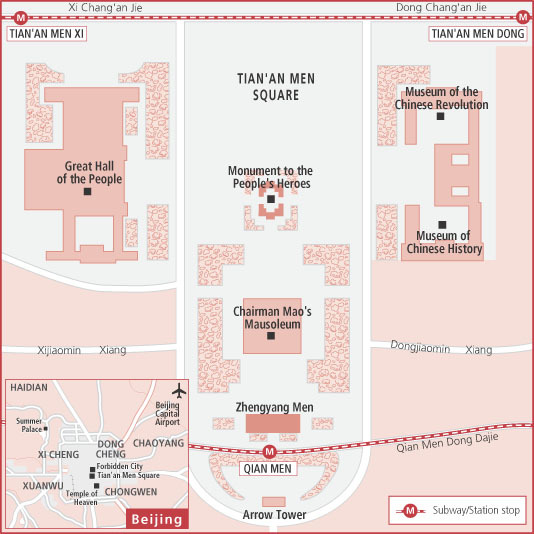 The map shows you all of the attractions of the Forbidden City, The Palace of Heavenly Purity, The palace of Union and Peace, The Imperial Garden are its several important parts. Forbidden City is located in the center of Beijing, now known as the Forbidden City. It covers an area of 724,250 square metres. Symmetrical layout, courtyards’ combination, spatial arrangement, single building, construction decoration, indoor and outdoor furnishings, roof forms and architectural color and so on, all of them can reflect the characteristics of ancient Chinese architectural art, from which to understand and appreciate the beauty of ancient architecture in China.